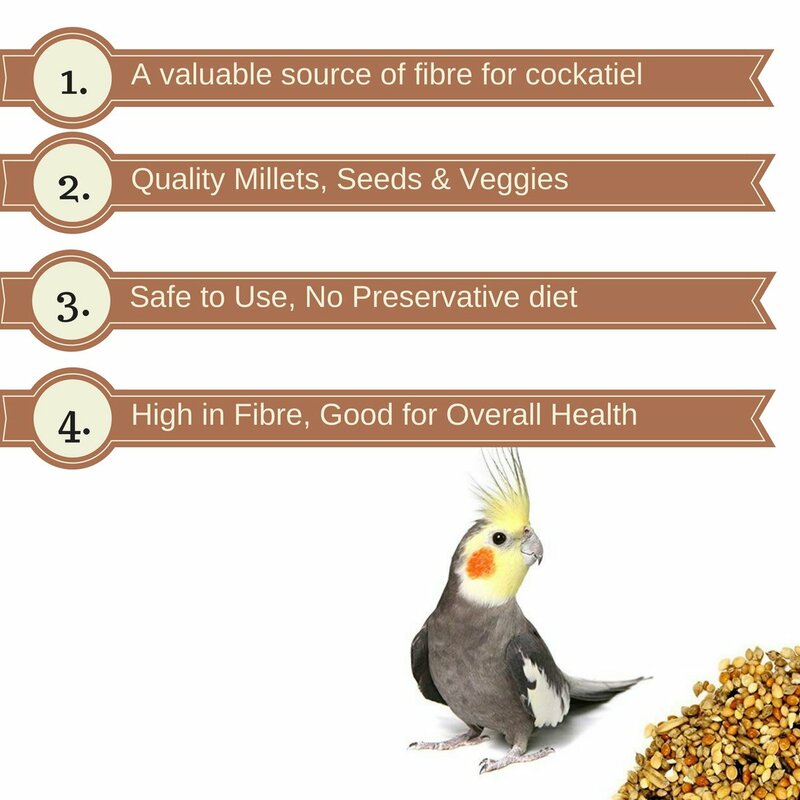 Developed with a special blend of three different millets, Vitapols' Economic Food for Cockatiel is a valuable source of fibre for your cockatiel. With specially chosen ingredients to meet the nutritional demands of your pet friend, each pelleted grain forms a beak full of indulgence. 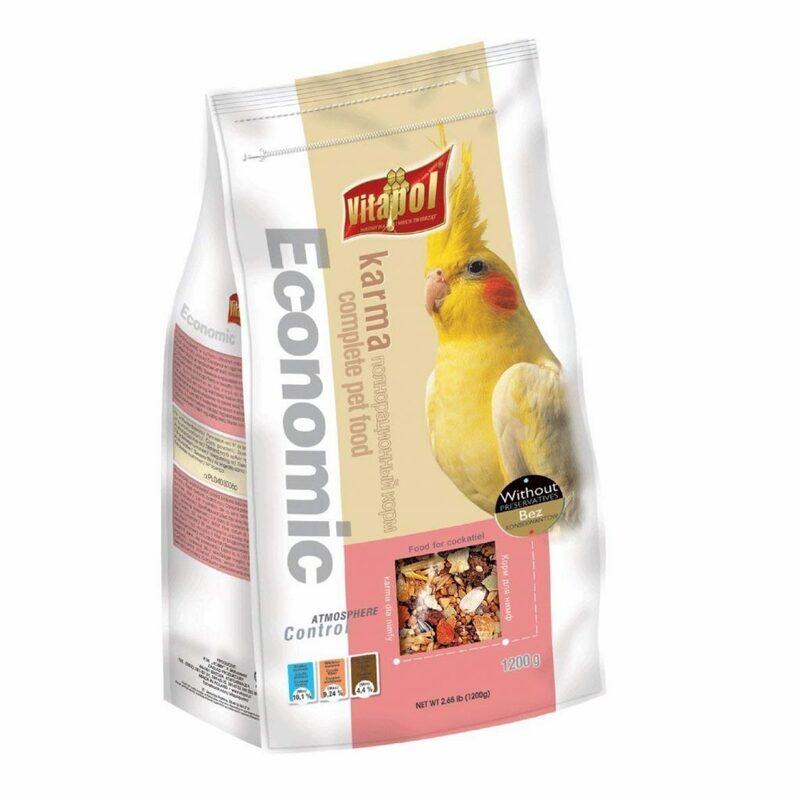 Packaged in a protective atmosphere, this delicious blend is sure to be a favourite of your fine feathered friend. After all, a healthy cockatiel is a happy cockatiel! -- Enriched with three types of small-grained millets, easily digestible wheat flakes. 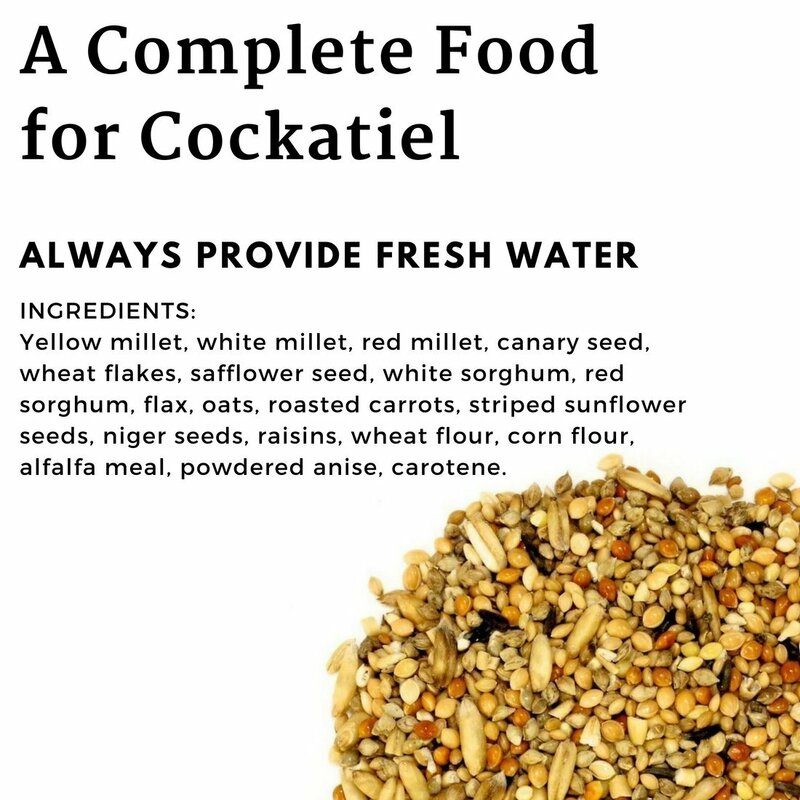 Yellow millet, white millet, red millet, canary seed, wheat flakes, safflower seed, white sorghum, red sorghum, flax, oats, roasted carrots, striped sunflower seeds, niger seeds, raisins, wheat flour, corn flour, alfalfa meal, powdered anise, carotene.